Gift your feathered friends a home to stay, a place to feed or a perch to sit on without taking much of your time. Choose from over 50 small projects that you can build in few hours’ time. Birds, bats, butterflies are all covered - there is something for everyone. These plans are very simple and won’t cost you much. 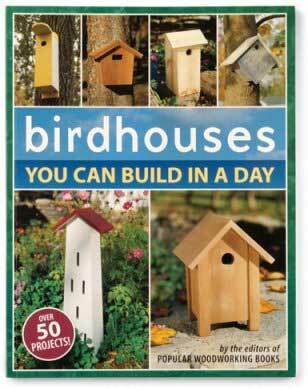 They are sure to stretch your imagination and further build up your woodworking skills. These highly attractive houses are safe for your winged friends and you can keep a close eye on them from your window. These appealing houses will also compliment your backyard. Not to miss a sweet cottage for chickadees and a beautiful nesting shelves for robins. Order Now!